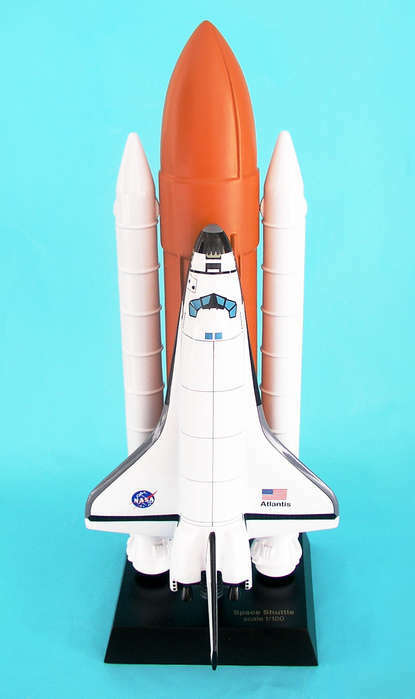 This high quality replica is handcrafted from mahogany and comes with a wooden base.Length is 25" and wingspan is 9"Space Shuttle Atlantis lifted off on its maiden voyage on October 3, 1985, on mission STS-51-J, the second dedicated Department of Defense flight . It flew one other mission, STS-61-B, the second night launch in the shuttle program. Beginning in 1995 with STS-71, Atlantis made seven straight flights to the former Russian space station Mir as part of the Shuttle-Mir Program.